It is important for companies to understand the changes in their business environment in order for them to achieve business goals. 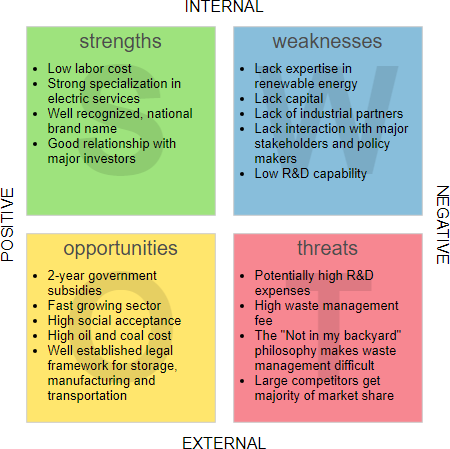 SWOT analysis is often used for strategic decision-making by enterprises. In the strategic planning, SWOT should be regarded as a commonly used analysis method, Strength – competitive advantage, Weakness – disadvantage, Opportunity, Threat. Strength: The ability of a company to surpass its competitors, or a company’s unique advantage of improving competitiveness. Threat: The unfavorable factors of product development in a certain environment. If you do not take decisive strategic actions, this unfavorable trend will lead to the weakening of the company’s competitive position. 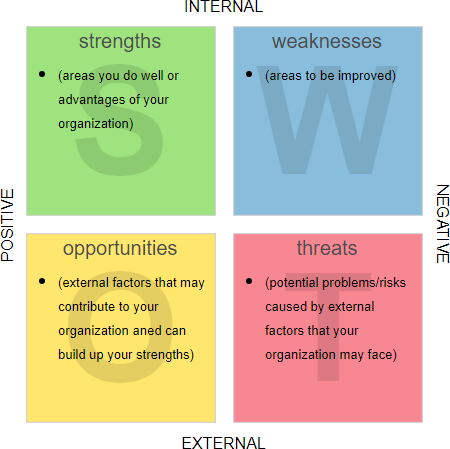 Let’s see how to perform SWOT Analysis in Visual Paradigm. 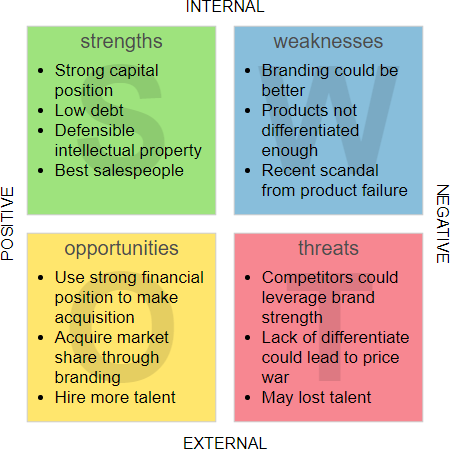 We will use a simple SWOT Analysis example here. You may expand the example when finished this tutorial. 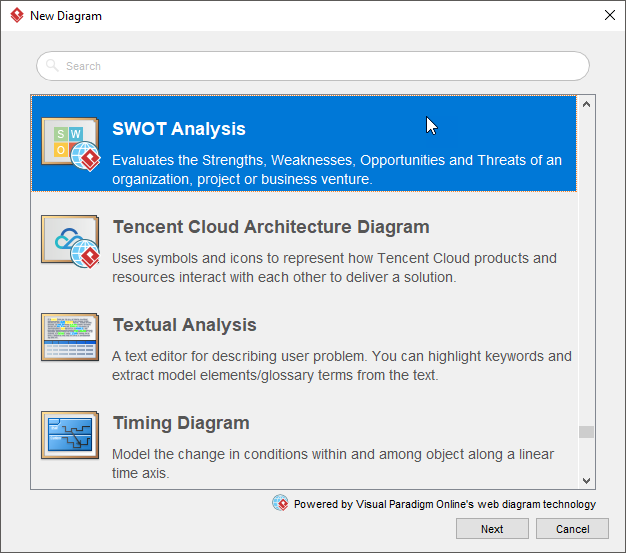 In the New Diagram window, select SWOT Analysis and click Next. You can start from an empty diagram or to start from a SWOT Analysis template or SWOT Analysis example provided. Let’s start from a blank diagram. Select Blank and click Next. 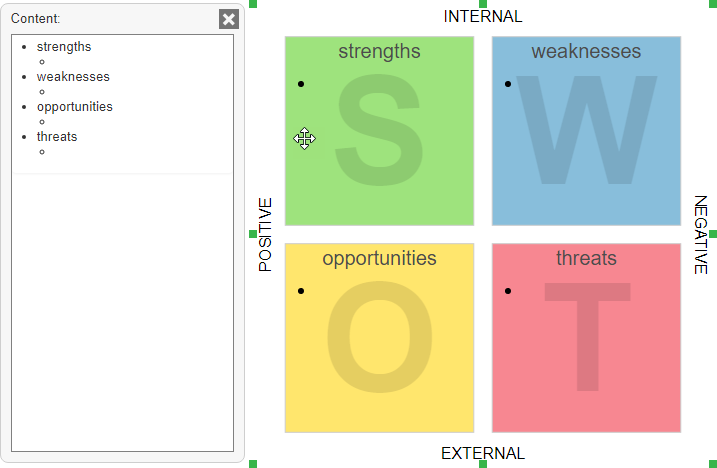 Enter the name of the SWOT Analysis model and click OK. 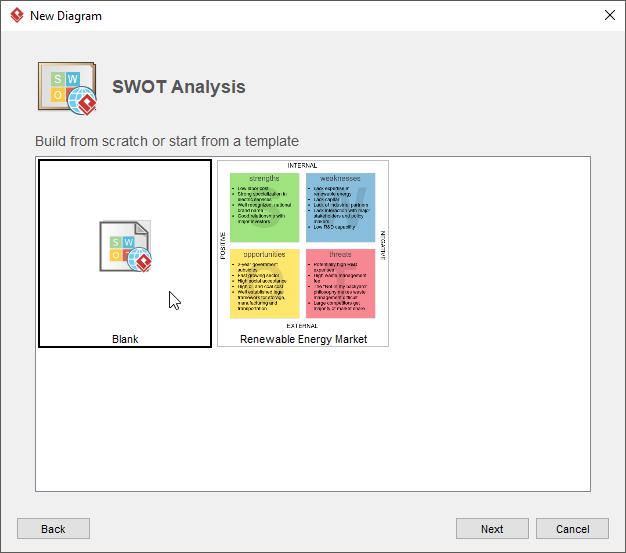 Drag the SWOT Analysis shape from the diagram toolbar and drop it onto the diagram. 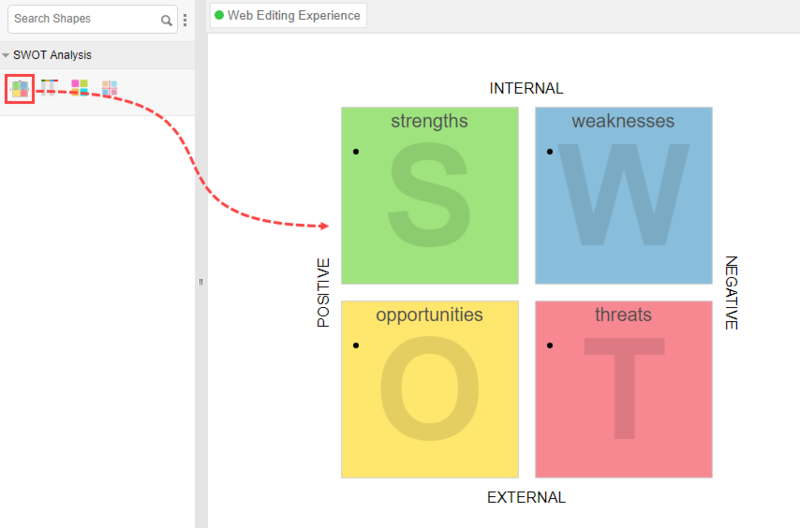 The editing of SWOT Analysis model is done via the InfoArt shape. 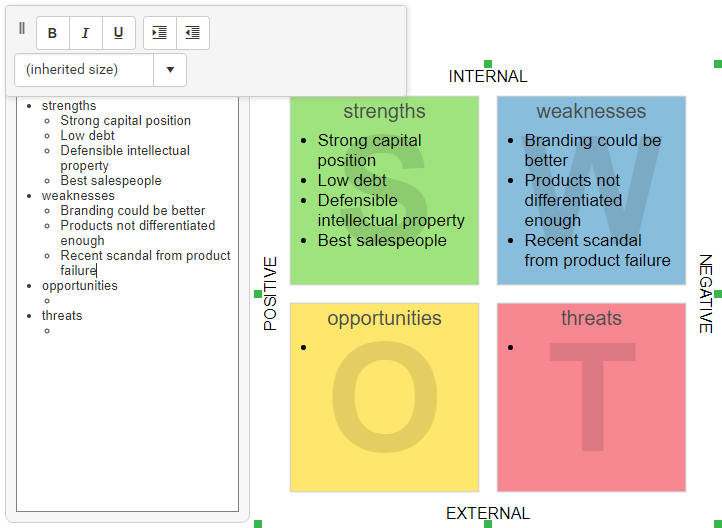 Click on the SWOT Analysis shape to show the InfoArt shape. Start entering the content in InfoArt.